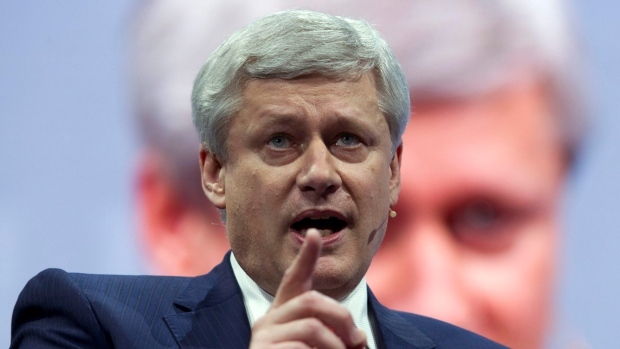 Stephen Harper didn’t hide his frustration in a recent address to a room of international investors and energy industry executives. BNN Bloomberg's Jon Erlichman has learned the former prime minister expressed dismay with the state of Canadian competitiveness at a TD Securities conference in London earlier this year, acknowledging the frustrations that are so dominant across the oil and gas sector. See the story here. Can’t wait for our chat with the investor whose notoriety went mainstream courtesy of The Big Short. Catherine Murray sits down with Steve Eisman on The Close for an in-depth conversation about his bet against Canadian banks and his broader investing strategy. Don’t miss it. A late rally pushed the TSX Composite Index into positive territory in the final minutes of trading yesterday, resulting in an 11-point gain on the day – thanks largely to energy stocks. The TSX is now 160 points from a new closing high. The office of U.S. Trade Representative Robert Lighthizer late yesterday released a long list of products targeted for US$11 billion in additional tariffs as a result of the European Union’s subsidization of Airbus. The 14-page list goes way beyond aircraft, with other targets including swordfish, cheese, sweet biscuits, wine, and carpets. The European Commission blasted the USTR’s move as “greatly exaggerated” and says it’s now gearing up to fire back with retaliatory tariffs of its own. -Shaw Communications added 64,670 net postpaid wireless subscribers in its fiscal second quarter. Adjusted operating profit beat estimates at $549 million, and Shaw is reaffirming its full-year financial forecasts. -Cannabis industry researcher BDS Analytics has cut its estimate for the size of Canada’s legal pot market to US$5.2 billion by 2024, from its previous call of US$5.9 billion by 2022. -Intact Financial says a record number of roof collapses and other hazards of severe winter weather resulted in first-quarter pre-tax losses that were $165 million higher than expected. -Canada Goose this morning announced plans to open six new retail stores later this year, including one in Milan. -Credit to Bloomberg News for catching the China National Development Reform Commission’s notice that it intends to ban cryptocurrency mining in the country, citing “seriously wasted resources”. -Notable earnings: Shaw Communications, Cogeco, Levi Strauss & Co.